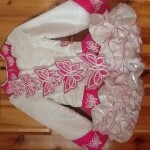 A really pretty dress for a young dancer. 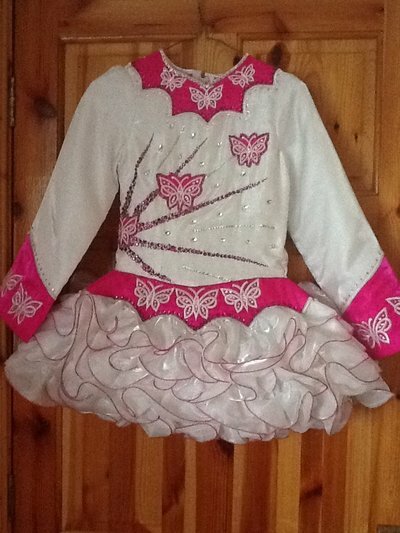 Custom made for an An Comhdhail dancer, aged 9. Slim build, quite tall. 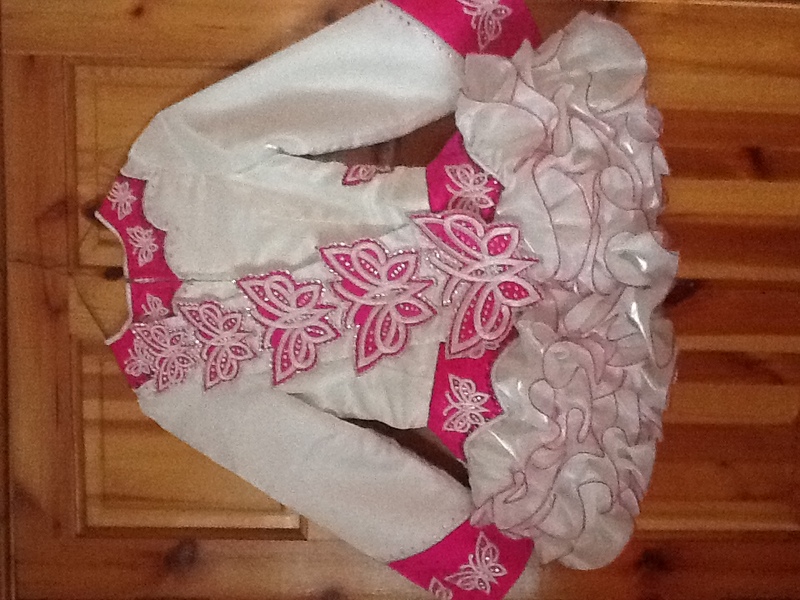 White twinkle satin with bright pink trim. 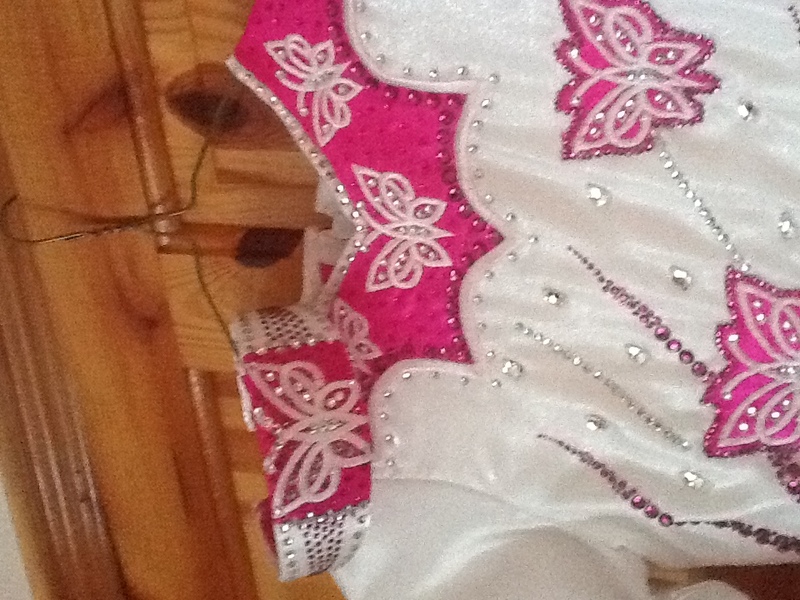 Adorned by over 200 Swarovski stones, in both clear and fushia pink. 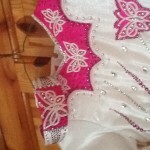 The lines across the bodice are made up entirely of Swarovski stones of various sizes. This dress looks great on stage, bright and sparkly. Lightweight dress with 100% cotton, white lining, very comfortable. No tan marks, as dancer did not wear tan at this age. Dress has been worn less than 20 times. Included in sale is a matching hairband. Please contact me with any questions or requests to try on dress. 2 inch let out at back. No let down at skirt but an extra layer could be added to skirt. Asking Price: £350. Shipping costs are not included in the asking price. Sale is final.